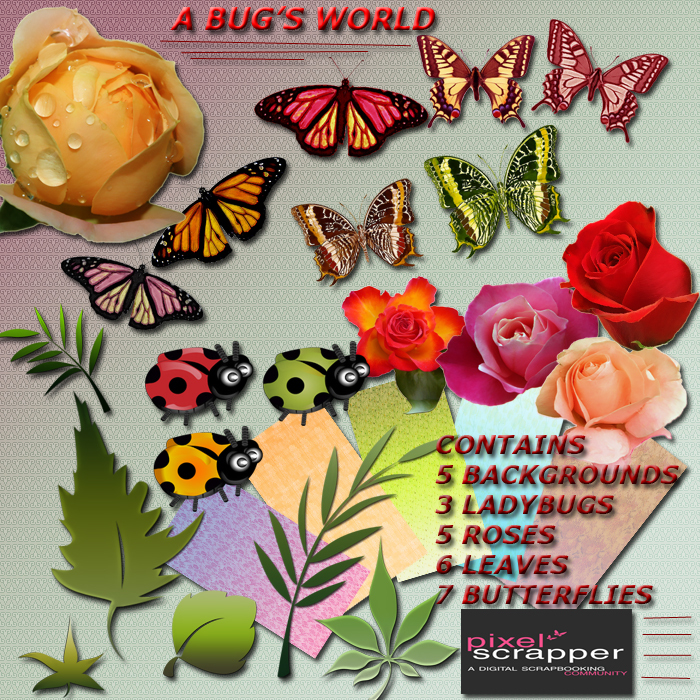 Today I have a Scrapbooking kit for you which I have made for Pixel Scrapper this month blog train topic--A BUG'S WORLD.. Thank you very much. Your part is too lovely! Thank you very much! I love the little bugs, they are so cute. You have done a great job.